Join us for live music on Friday, February 2nd. 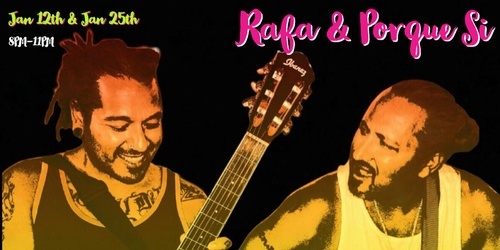 We'll have live music by our friends Rafa & Porque Si. They'll have you groovin' and singing to all your favorites from the 90's.